WARNING from the clergy people about the end of the world, that no longer pose a fear. But telling people about getting ready because 'Day Zero' is around the corner, everyone in South Africa just raised eyebrows. In particular in the area of Cape Town, Port Elizabeth and Makhanda (Grahamstown). The Day Zero warning allegedly traumatised many people living in these areas. In fact Day Zero is not a quote from the Bible, but is a day when all water sources, reservoirs and dams completely went dry. That would be caused by the ongoing dropping water levels due to the scarcity of rain which cause an unstoppable drought climate. To such an extent that residents look like they are waiting for their judgement day. As a result in Makhanda, the municipality does not want to hear anyone talking about Day Zero. Though their water levels are dropping gradually. Makana Municipality assistant media and communications officer, Anele Mjekula said: "We are not approaching Day Zero. Some of our dams are drying up but not all of them. We would like to appeal to all media not to use the Day Zero term when reporting about the water situation in Makhanda. "We are urging residents to save water and reduce water usage to fifty litres per person to a maximum of four people in a household. "Despite that urgent call by the municipality, water usage has not reduced and is currently standing on more than two hundred litres per person." In the Port Elizabeth area, already the municipality advised the residents to use very less water per day. Failing to obey that, the municipality would allow people to use the grey water to wash their cars. Municipal spokesman Mthubanzi Mniki said; "Grey water comes from the bathroom shower bath and from the washing machines. But is not healthy and safe for human consumption. But people may use it to wash their vehicles in order to save water." This water crisis has threatened almost all the nine provinces in South Africa. But still there are thousand litres of water just flow down the channel without being used. For instance in Port Elizabeth, water came from the stormwater drains are not controlled and purified. Instead this water end up spoiled and turn green due to the growing toxic algae on it. 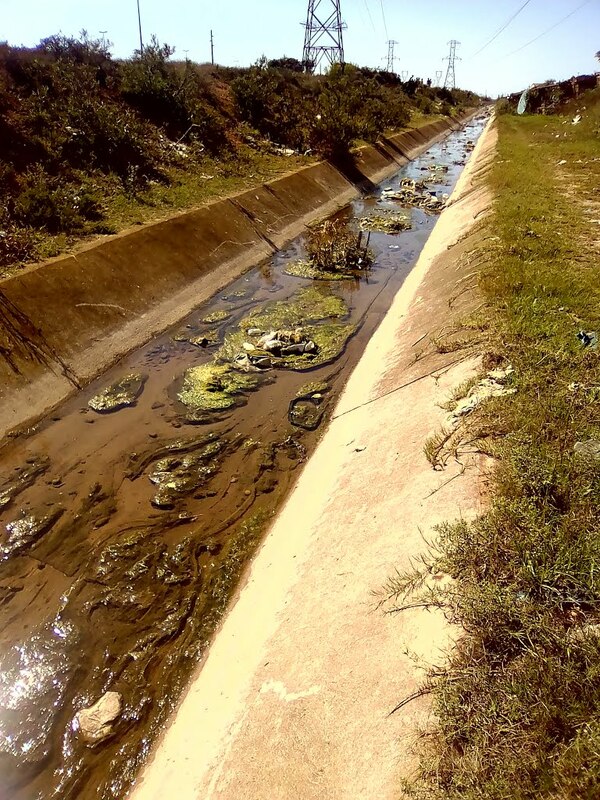 That has caused environmental damage because they flow down to the Swartkops River which connects to the Indian Ocean in Port Elizabeth.